Oily skin has always been a problem for me since I can remember. I have tried so many different face washes, moisturisers and products to stop my skin from being so oily and looking shiny. It has always been my main concern about my skin. It started when I was a pre-teen but I haven’t quite got past the oily stage in my mid-twenties. The first thing I look for in a moisturiser is that it is light, smells clean / fresh and doesn’t break me out. About a year ago I first tried a gel formulated moisturiser and I absolutely loved it. Unfortunately, it didn’t help my oily skin but it didn’t make it spotty. 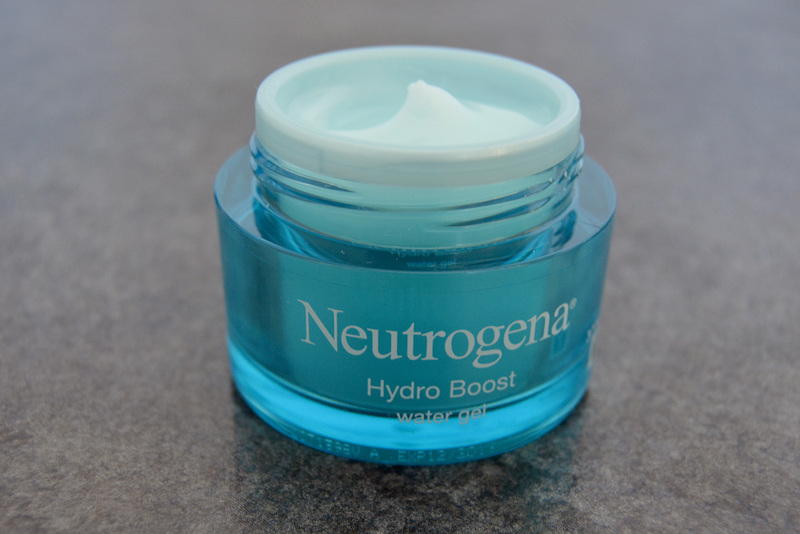 I was fortunate enough to try the Neutrogena Hydro Boost water gel moisturiser this Summer and I couldn’t praise it enough. It is everything I look for in a skincare product. Firstly, the packaging looks so fresh and clean. It consists of a turquoise pot with a white lid. It represents the appearance of a pool. 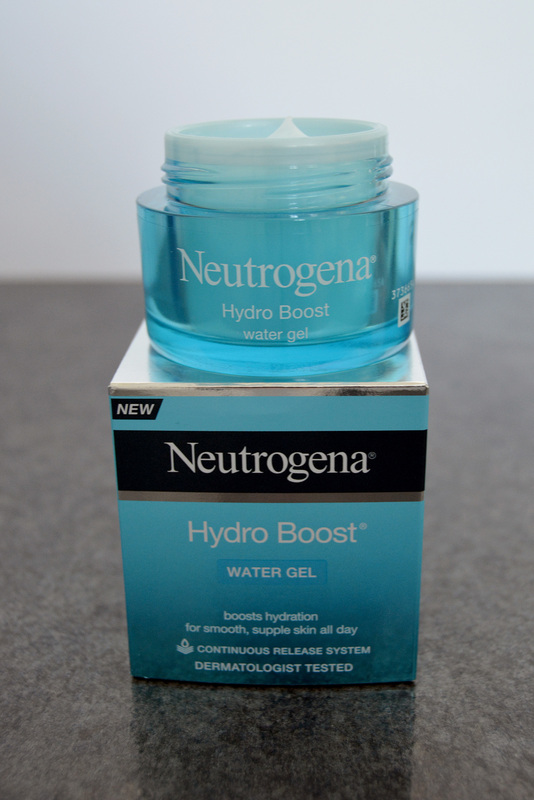 When you open it, the pot is full to the top (which is rare these days) of gorgeous pale blue gel with a creamy feel. The scent is beautiful. It isn’t so overpowering that when you open it, it hits you but if you smell it you can tell it’s something special. The scent reminds me of fresh linen, clean water with a hint of greenery. The texture is cool to the skin and feels like a creamy gel which has a rich consistency without being heavy. It definitely feels very light on the skin. It goes on with a light sheen and you can feel it but it only takes about three minutes to sink into the skin. It dries matte, making the skin feel nourished but not as though there is a layer on top of it. I wore it throughout the Summer and have been wearing it into Autumn too. 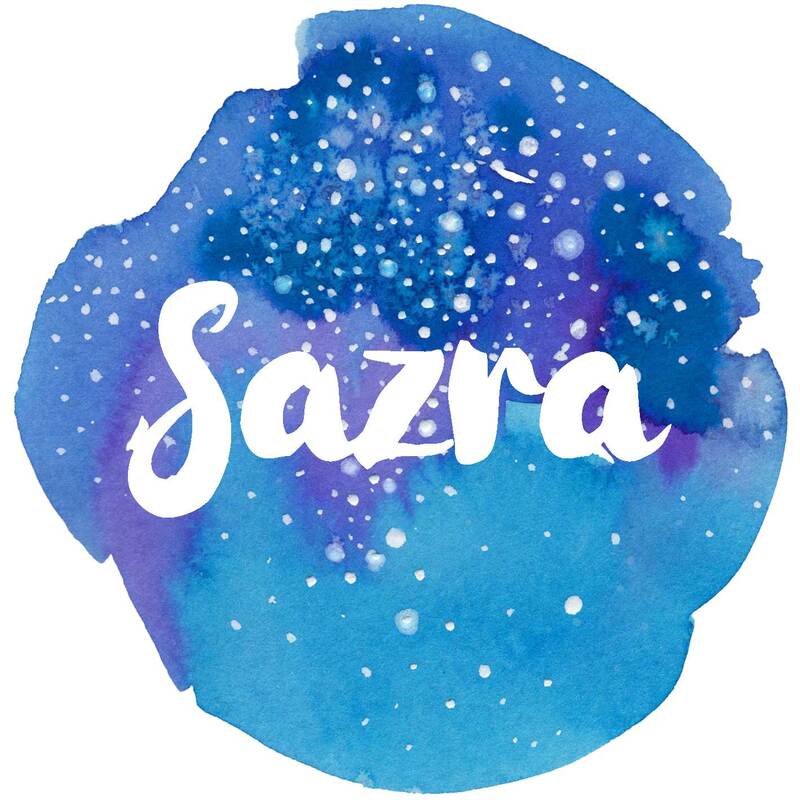 It’s a really lovely skincare product for Summer due to the initial cooling effect, the lightness and the fact that it doesn’t leave you looking shiny and sweaty. I really enjoyed using it and will continue to do so. I have been using it at morning and night. The science behind the product fascinated me. 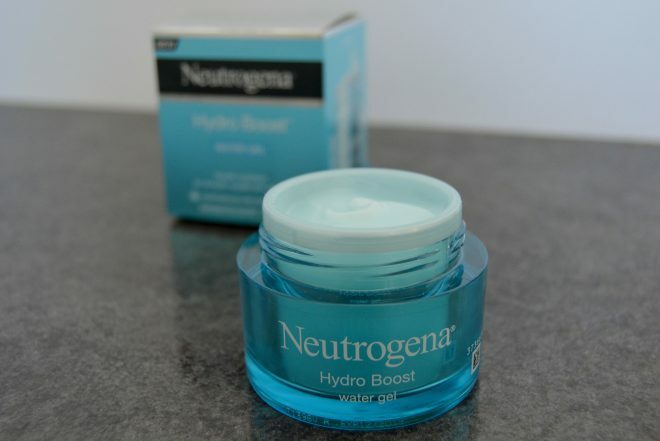 Hydro Boost features a Hyaluronic Gel Matrix, exclusive to Neutrogena technology which delivers hydration. It creates a reservoir which works with the skin’s natural moisture transport system to actively replenish, restore and deliver hydration where and when the skin needs it all throughout the day. It has the power to leave skin so fresh and supple, it bounces back. – Hyaluronic acid. Naturally found in the skin, this helps hydration acting like a sponge for dry skin. It absorbs up to 1000 times its weight in water. – Glycerin. This rebuilds lost mortar in the brick wall of your skin cells and replenishes the moisture barrier. – Olive derivative. It helps to fortify the skin’s natural moisture barrier. These ingredients help to maintain cohesion, flexibility and elasticity of the skin barrier. They encourage biochemical reactions needed for skin health. They create a robust barrier that keeps the bad out and the good in. It ticks all the boxes for me. It’s so lightweight but gives intense hydration. It also keeps my skin soft, matte and healthy. The product was launched in the UK in July 2016. – Water Gel Moisturiser. RRP £12.99 for 50ml. – Gel-Cream Moisturiser. RRP £12.99 for 50ml. – Water Gel Cleanser. RRP £7.99. – Micellar Water. RRP £7.99. – Cleansing Wipes. RRP £4.99 for 25 wipes. Boots currently have these products on promotion for a 1/3 off. Join in the conversation with the hashtags #SeeWhatsPossible and #AlwaysBounceBack. 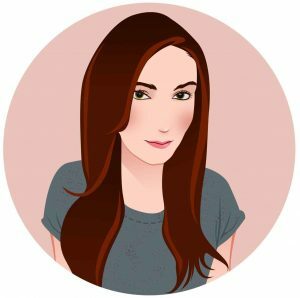 Previous Previous post: Healthy Nibbles Review & 50% Off!